What a beautiful day the Midwest Winery Gals were blessed with!! Fall colors everywhere and the sun shining, nothing like a perfect winery day!! Well, pretty much that’s any day but today was picturesque!! We traveled Route 3 South of Interstate 64 towards Waterloo, IL. 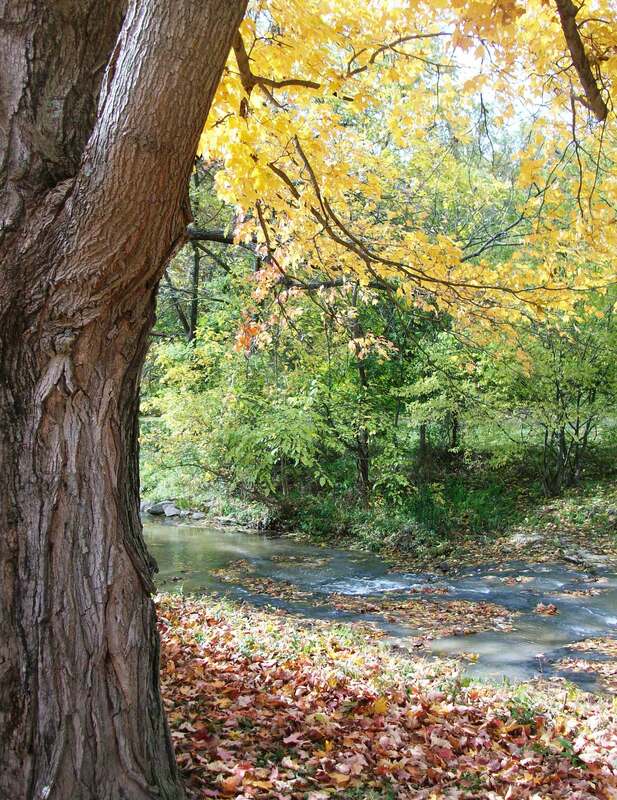 Fall is a beautiful time of year in southern Illinois! 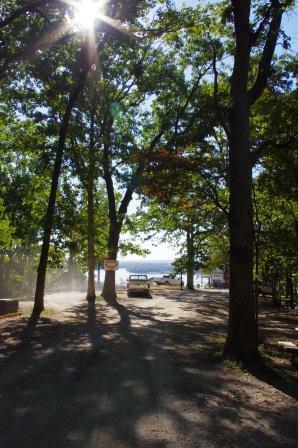 Especially when you turn onto the country road that takes you to Schorr Lake Winery. You first pass a vineyard on left then the fence and entrance!! It’s very inviting and warm. I commented how it looked as if one time it was a home transformed into a winery. You get to see the large red building which is where they make the wine, then there were a flock of the largest geese I’ve ever seen laying with their heads tucked in right next to a beautiful large white dog. It was all so beautiful and peaceful and yes out in the country outside the winery. To help with those of us that get confused easily there is an iron trellis that says winery. We walked onto a large scenic patio with alot of seating, an additional lower deck and a upper balcony. Very spacious and perfect place to sit and enjoy a glass of wine on this beautiful day! There is enough room to have a bachelorette, birthday or any special event outside while enjoying each other and nature. Then inside we were greeted by two very helpful and pleasant bartenders and they were pretty knowledgeable about the wine. We felt right at home with their wonderful hospitality! There was plenty of room inside for a group meeting, small gathering or private event. Beyond the tasting room was an additional room with 8′ long tables, this could even be a good place to drink wine and meet friends in the winter. They had a small gift shop that offered wine related items and themed accessories, gift baskets, gift certificates & a clean bathroom which is always a bonus in my book!! During our wine tasting which was free of charge, they offered 30-40 different wines. You could help yourself to water and crackers which is always a nice gesture. I also noticed they offered microwave popcorn and 12″ pizza and even welcomed you to bring your own picnic to enjoy with the wine. 2009 Cayuga – semi dry, light, crisp, and refreshing, but I was in the mood for something sweeter today! So onto the semi sweets which started at 4% sugar and went down to 3%. 2011 Vidal Blanc which was also light and crisp but had an interesting flavor that I couldn’t put my finger on. But I enjoyed it which I usually do enjoy a good Vidal Blanc. High Prairie Blush which was very similar in color, smell, and taste to a White Zin. I wasn’t a huge fan but maybe because I was in the mood for sweetness? 2008 Vignoles was again light and crisp and golden in color a great fall day wine! 2008 Traminette had a great citrus smell, was light bodied and smooth. Fredonia, which I had never heard of and which we were told is a unique grape to this area, had a very light Zin like fragrance with a sweat tart taste. It hit my pallet first sweet then tart, a surprise to what I associated the smell with. 2001 Golden Muscat was a very golden color, a little heavier bodied wine, crisp, and just a hint of the sweetness I was looking for today. But I ventured on to dip into the sweet wines a little. 2002 Delaware which was 6% sugar was very light in color, smell, and taste to me. I was told they use this in the slush they offered called the Lime a Rita and the Blueberry Pomegranate, which I was more of a fan of. 2011 Raspberry Kiss & Strawberry Kiss both contain heavier flavor additives, the taste to me was not as good as having the fresh fruits in them. 2010 Old Fashion Concord smelled like Concord but didn’t have the dominating, Concord taste they typically do. Lastly they have a variety of fruit wines, the Peach, Blackberry Vidal and Ice Wines were sold out, but I did try the Blackberry Port, which I’m not a port drinker, I have to say it was very tasty!! The bartender told me it was 18-20% alcohol and lighter than a typical port and very crisp definitely a sipping wine per Lynn. 2003 Raspberry wine was very sweet and heavy, seemed to be more like a dessert wine. I was intrigued to see a 2010 Pepper Wine, which you’re welcomed to sample but it’s marketed primarily for cooking. Since I’m not a cook I left it there for the more experienced kitchen experts. Chrissy’s Crushes: Since I was in the mood for something a little sweet I went with the Golden Muscat and the Vidal Blanc, both were perfect for enjoying the deck on a fabulous fall day while music on the radio played in the background and groups of friends gathered and animals roamed free. At Schorr Lake Winery, the Midwest Winery Gals had the opportunity to enjoy about 20 wines together! Holy Cow! They had a lot to offer. Tastings were free as well. The bartender was courteous and informative. She helped us quite a bit. The wine server told me that ALL the wines across the board are 12% alcohol except one. There bottle prices ranged from $9.95 to $19.95 (most were in the $10.95 to $13.95). Most glasses were $5 except the Chambourcin which was $6. Scores: 1 to 5 glasses…5 being best. Chambourcin – 2006 –Aged in American Oak, ruby color, berry smell, black currants, heavy bodied, won a bronze award. This is the one I ended up with. Cynthiana -2000 – aged in American Oak , 0% sugar, smells of pepper, brownish ruby – you could tell it was an older wine by the color, heavy bodied, nice finish – light on tannins. Fredonia – 2011 – Mostly grown in the North Eastern part of the US, rare around Waterloo but they grow it on their estate, semi-sweet red, 3% sugar. They call it a sweet tart because it starts off sweet and then you get the tartness. 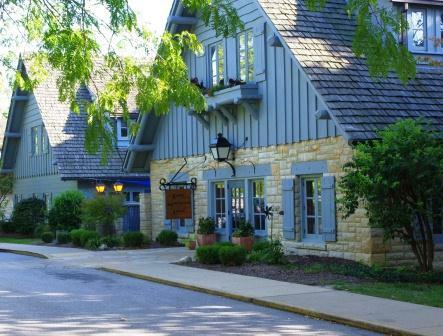 Mary Michelle Winery is located in the Pere Marquette Lodge in Grafton, IL. The lodge is easily accessed from the Great River Road (Rt. 100) through Grafton about 5 miles northwest, which is about 45 minutes north of St. Louis. Wow!! It’s almost like driving back in time…. the drive is very peaceful and beautiful I think a drive just to check out the fall colors is worth it, then the wine is a bonus!!! Who knew there would be a winery inside a park?? The park is huge and offers so much!!! There are several lodging options, recreational areas, pavilions for events, for special occasions, family reunions, weddings, etc. The main lodge itself is huge and was built in the 1930’s by prison labor. The park has hosted weddings from all over the world, as well as family reunions, business meetings and so on. They had very nice large and clean restrooms which I always appreciate. Angela, the bar manager, recommended the lodge’s restaurant for lunch so that’s what we did. The food was like they stole grandma and had her make it. The food was priced mostly in the teens and well proportioned. Service was very good and timely. I’m not usually a lodge restaurant type person but I was pleasantly surprised with this one. Along with serving the Mary Michelle and Illinois Cellar wines they had a large selection of wines from all over the world available. 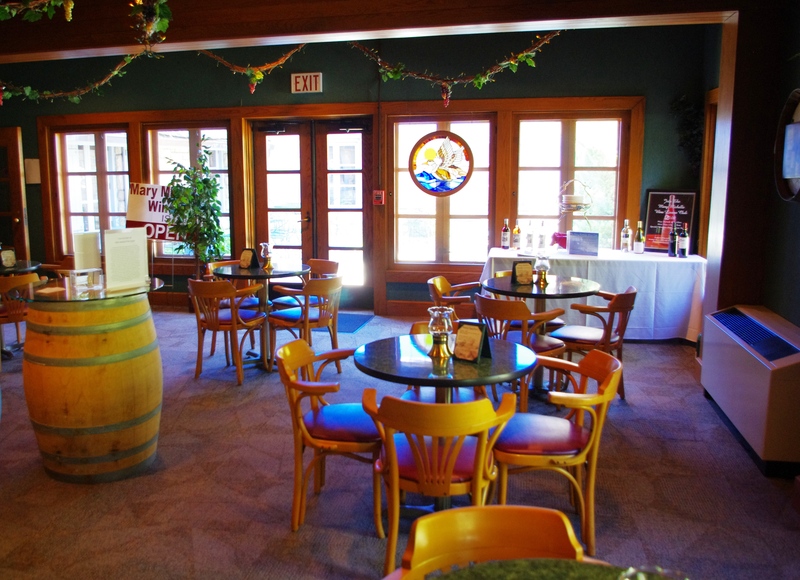 The winery offered five appetizers which came from Pere Marquette’s Restaurant. You can pick up some chocolate or sweets on your way in or out of the main lodge, a perfect addition to any wine trip if you ask me?? Angela was very helpful, knowledgeable and friendly. She was happy to make some recommendations which is helpful. You can sample all the wines except the ice wine which is only sold by the bottle. I’m not a big ice wine drinker so I passed on that. Angela did keep us hydrated with plenty of water as we requested and let us take some fun photos of us goofing off in the winery. It’s always nice to encounter such pleasant people! The Midwest Winery Gals really enjoyed visiting the Pere MarquetteLodge area and the Mary Michelle Winery. It has a quaint little area that is clean & cozy as well as an outdoor seating area to enjoy a glass of wine while enjoying the weather. Although there were no vineyards to admire you didn’t miss them because of all the other beautiful, nature scenes to enjoy!! The vineyards are located in Carrolton, IL which does not have open hours, but they allow tours one day a year. The manager behind the bar wasn’t sure when that was though. Mary Michelle offers a wine club as well for a one-time fee of $20 and you get a lifetime membership with complimentary wine tastings, 10% off case of wine, 10% off dining room and gift shop and 10% off rack rate at Pere Marquette Lodge and accommodations, 1 free Pere Marquette Lodge wine glass, free appetizers at every wine club get together, and a special price for wine dinners. WOW! What a deal! The owner chose the winery name by his Mother, Mary and his wife, Michelle. To distinguish between the different fermentations processes, Mary Michelle labeled their wines differently. Illinois Cellars represents wines fermented in stainless steel tanks and Mary Michelle wines were fermented in French American Oak barrels. Why is this important? This will change the flavor of the wine. When aged in an oak barrel you get more vanilla and buttery tones to a wine. Crisp, light bodied, with a granny smith apple tartness to it. Light bodied, smooth, apple tartness yet sweeter, reminds Chrissy of a Riesling. Niagra Grape, heavy bodied, orange, crisp, fruity, sweet white wine. Velvet Rose –12.5% alcohol, sweet rose wine, blush in color, light floral fragrance, smooth strawberry but with that strawberry bite at the end. Vanilla notes, leather smell, juicy almost like Welch’s grape juice , lightly oaked, light on the tannins. They also offered a sweet red, Velvet Red (11.5% alcohol).